I am nearing the end of my “Staycation!” I haven’t gone far – but it has been a very enjoyable vacation this summer. I have stayed close to home and have had some novel experiences. 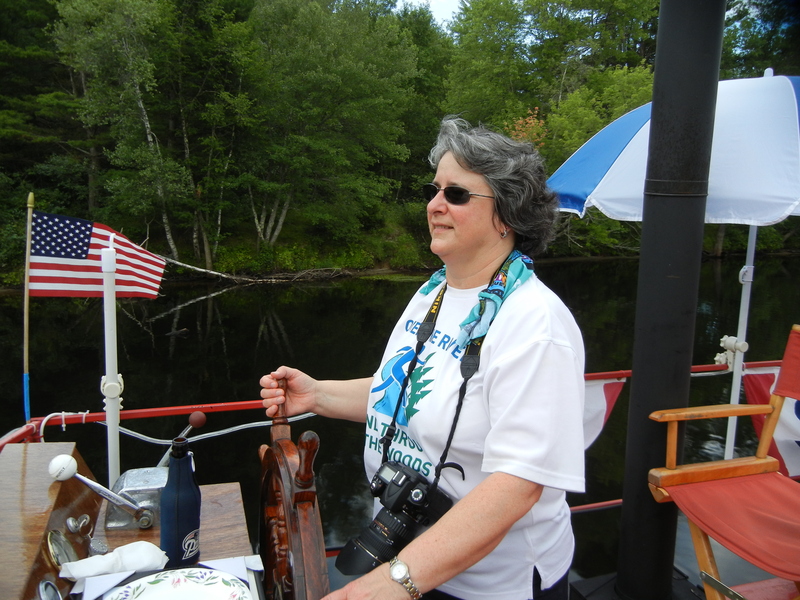 I had the chance to ride the River Lady stern wheeler last Friday evening! What a great opportunity! I was even able to steer the boat. The owners, Harold and Wendy, are very nice folks! On Sunday, I visited friends Pat and Jim Vaillancourt at their house on Northwood Lake and photographed both loon families on the lake. I took the best loon photos that I have ever taken before. Check out my Flickr photostream! Today, I went with my friends Tim and Dianne Blodgett to the north country. It was the perfect day. 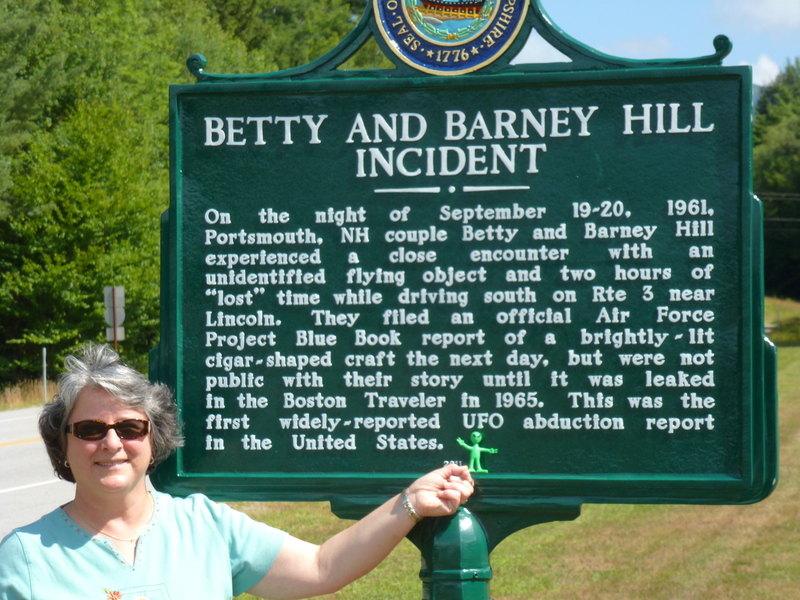 We stopped by the Indian Head Resort in Lincoln and we checked out the brand new NH historical marker about Betty and Barney Hill. I brought my own little green alien 🙂 This new marker was unveiled on July 20th. We didn’t see any moose but the scenery was awesome. 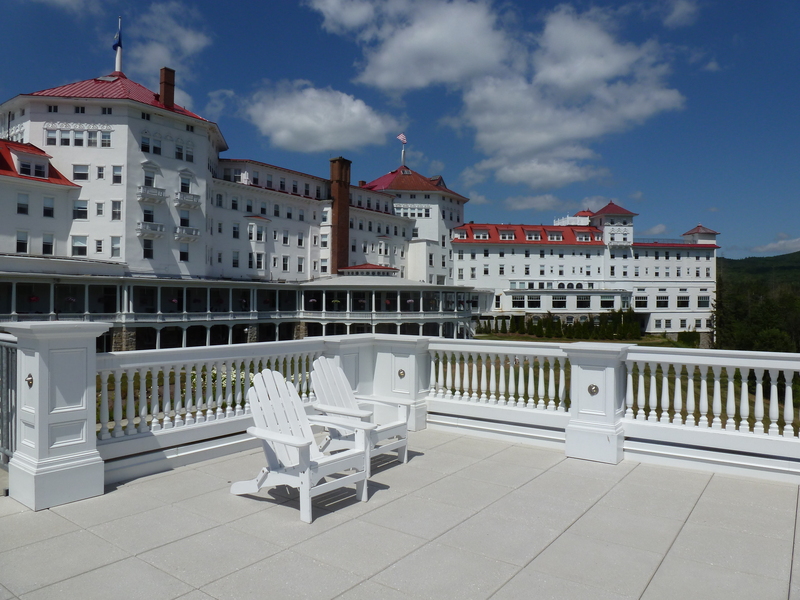 They had never been to the Mount Washington Resort – a gorgeous 110 year old resort – so we stopped there to look around and have lunch. We had a wonderful lunch out on the porch with a fabulous view of Mount Washington. I can’t believe how quickly the summer has passed. Time seems to go faster and faster the older that I get. No longer does the summer seem to last forever. I think there is a wormhole surrounding us all. I have a lot to do in August! I haven’t even taken the kayak out yet. I hope everyone has had a nice summer. Enjoy everyone! Take care!